Queenie is a 1996 16.2H bay, Appendix Irish Draught (AID) mare. An AID mare is one that has at least 3/4 proven RID blood and is brought forward in front of Irish Inspectors to see if they are "type" enough to, if bred to an RID stallion, have her filly foals only eligible to be inspected for the Registered Irish Draught studbook. 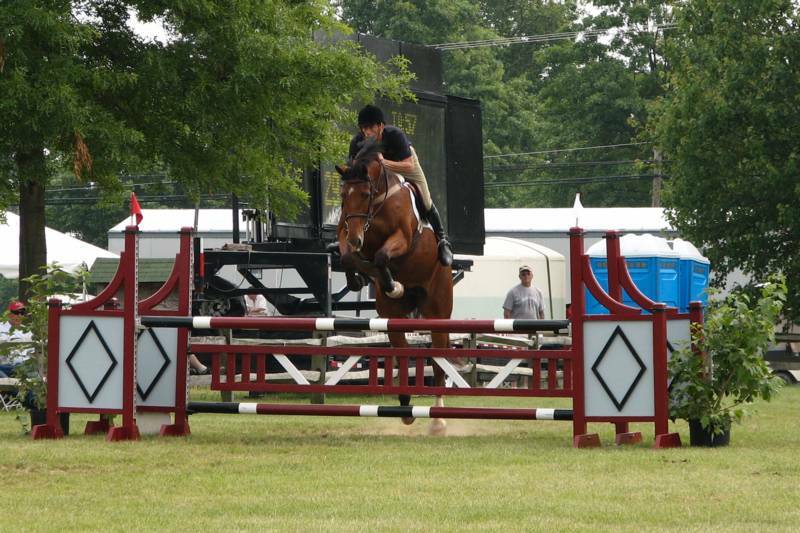 She is a lovely, athletic mare with incredible talent and superb jump. She hunted in Ireland and Virginia and has competed in eventing, hunters, jumpers and combined training. 1st Novice Combined Test at the 2000 IDHS(NA) National Show. 1st IDSH Mare at the 2003 IDHS(NA) National Show. 1st IDSH Mare at the 2005 IDHS(NA) South East Region and National Shows. 1st High Jump at 4ft 9 inches at the 2005 IDHS(NA) Show. 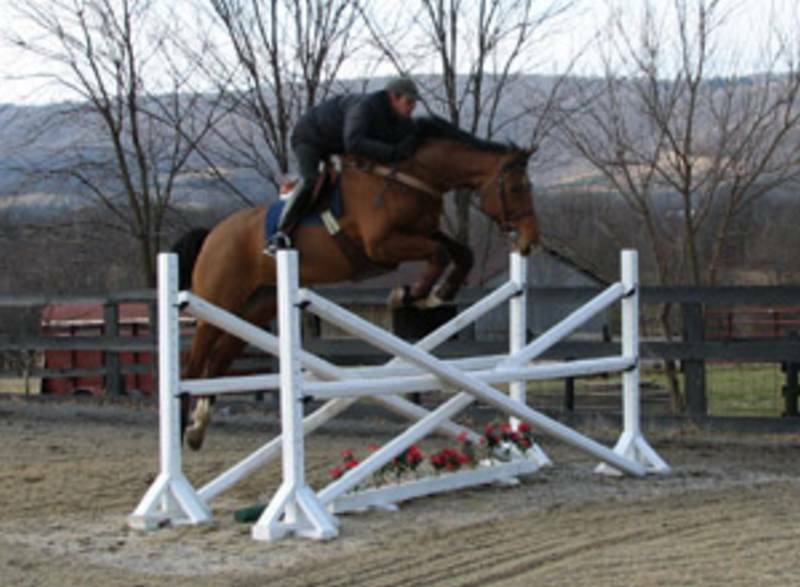 2002 colt, Bridon Tierney, by Glenlara purchased by former Olympian. 2003 colt, Bridon Glenpark, by Glenlara was the Reserve Champion Part Bred Foal. Bridon Glenpark inspected RID in 2005. Queenie is by Diamond Clover, RID out of Stopford Eddy, ISH by Prince Edward, RID. Her half brother, out of Stopford Eddy, named Moon Man is an event horse in England and was internationally ranked in 1998 and was 3rd at Rolex in 2003. Obviously from the name of her sire, she has both Clover Hill and King of Diamonds in her pedigree. Queenie goes back to the four RID foundation sires.